In this tutorial we will clarify key points that will help you to determine what type of server is the best solution for small business and give a price range for typical server models. Although a small server can’t be different from the modern desktop computer, both machines are designed for completely different tasks. Desktop is designed for use by one person, who needs a friendly operating system for desktop applications such as a word processing, accounting software, email client and web browser. On the server a special server operating system is installed, which provides more functionality for users. It is tuned to work of multi-user applications such as mail, messaging, print servers, services for event planning, database, ERP and CRM systems. In addition, the server allows your employees to share information and interact with each other. It act as a central repository for all your documents, pictures, contacts and other important files. It can be placed on Intranet portal and because of that employees can quickly share information without delay. After the VPN gateway installed, your employees and you will be able to have remote access to information stored on the server. You can do it from anywhere in the world where the internet connection exist. In addition, the server can automatically make a backup of user data, so you never lose important information if one of the computers fails or you lose it. If you plan to expand your business, choose the server that can be scaled and which will grow with your business. It is necessary to remember, that you don’t pay for IT service and for maintenance of equipment, and not directly invest in the purchase of new equipment — you pay only the cloud service provider. In some cases these costs will be greater than the costs for purchasing own server. 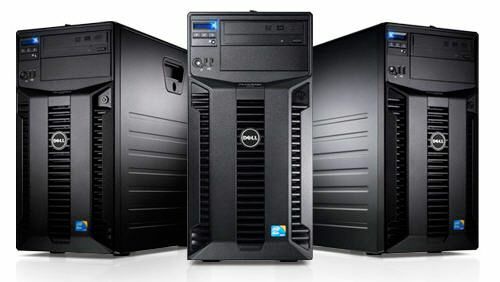 The best-known brands in the server market — Dell, Fujitsu, HP, IBM, Lenovo and Oracle. Choosing the right server depends largely on the applications you are going to run on it. Tower type servers can be easily confused with an ordinary computer. They can be installed on the floor, on a table or mount in a rack after small changes. Tower Servers quieter that other types of server equipment. They don’t require powerful fans for cooling. 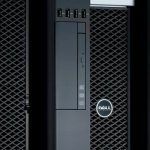 Most popular tower servers with a productive processor, lots of RAM and hard disk drives can even be used for virtualization. In case you need more than one server in the future, consider purchasing rack-mounted servers. This type of server has a standard width (suitable for 19-inch rack) and standard height (multiple of 1.75 inches or 1 unit, 42 standard rack units in height). Rack servers can accommodate a relatively small area, typically they have a system of cables needed for the connection. Rack servers on the hardware equipment does not differ from many tower servers: they are equipped with sockets for multiple processors, large number of slots for RAM and more space to store data. Rack systems are highly scalable. By purchasing a rack, you don’t need any additional space on the floor for the installation of additional servers as long as the rack is filled. Rack servers need more active cooling than the servers with on-floor design because they work in close proximity to each other. Coolers in these servers can be quite loud, climate control system is required to cool the entire rack. For this reason, many companies prefer to set rack servers in a specially equipped room. 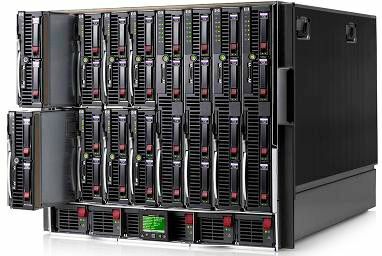 The main difference between rack servers and blades is that the last one is installed in chassis. Adding a new server is as simple as inserting a new blade in the chassis. You can install network components such as Ethernet-switches, firewalls and load balancers, along with servers, all mounted in a rack. Since the chassis provides power, cooling, input-output and operation for all components inside the chassis, you will not have to look for new cables when you have to add new server. Blade servers are compact and can use more computing resources than any other server ecosystem. But the cost of investment is much higher, because you will need to purchase additional infrastructure. Blade servers have their drawbacks. Usually they provide a few opportunities for expansion, because they are not equipped with such a large number of PCIe slots and baskets for the drives as Tower-servers or Rackmount. On the other hand, companies that are deploying blade servers, usually have already installed system for storing data, to ensure the correct work of the blade system (in some blade enclosures can be placed SAN directly with the servers). As you may guess, the location of all of these components in such close proximity to each other generates a lot of heat. Blade systems, as well as rack-mounted servers, require active cooling. Compare prices on new equipment and second hand.